Newmark Knight Frank (NKF) announced that Knotel has signed a lease to occupy a 11,940 s/f space at 80 8th Avenue in Chelsea. Managing Director Scott Brown and associate Morgan Feldman represented the landlord Mplatform LLC., while NKF Executive Managing Director Michael Morris and Associate Gregory DiGioia represented Knotel 80 Eighth Avenue LLC. 80 8th Avenue was constructed in 1930 in Chelsea, walking distance to the High Line and the historic West Village and the nightlife-rich Meatpacking District. As an office space, the 20-story building combines a distinctive, neo-gothic exterior and recent, high-end buildouts for tenants. “Chelsea is a thriving neighborhood for companies to move and it offers a highly conducive setting for success, thanks to the dual office and residential makeup of the area,” said Brown. 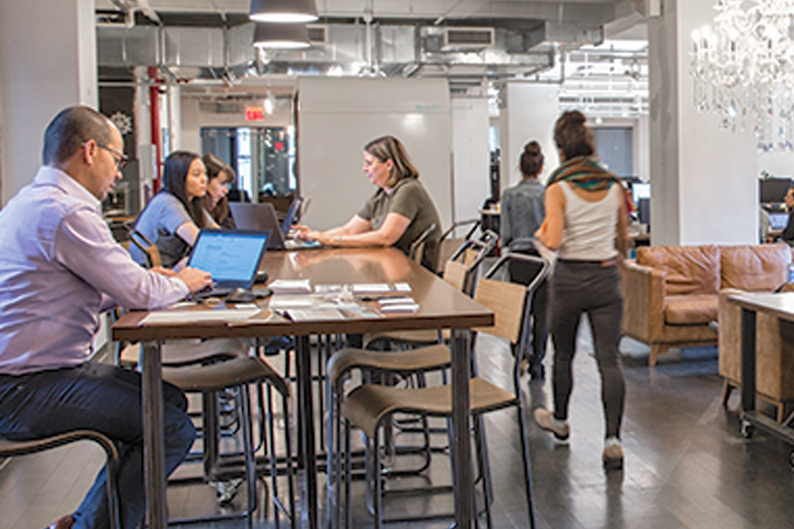 Knotel designs, builds and operates custom spaces for established and growing brands.